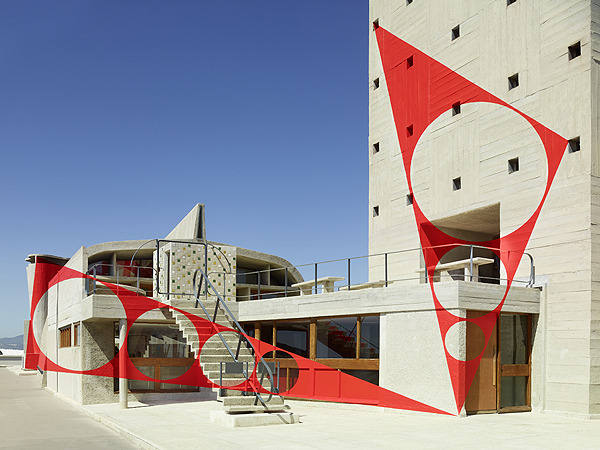 In tandem with Felice Varini’s “À ciel ouvert” open-air installations opening at MAMO (until 2nd October), Le Corbusier’s architectural work was classified a UNESCO World Heritage site at the World Heritage Committee’s 40th session on July 17th in Istanbul. 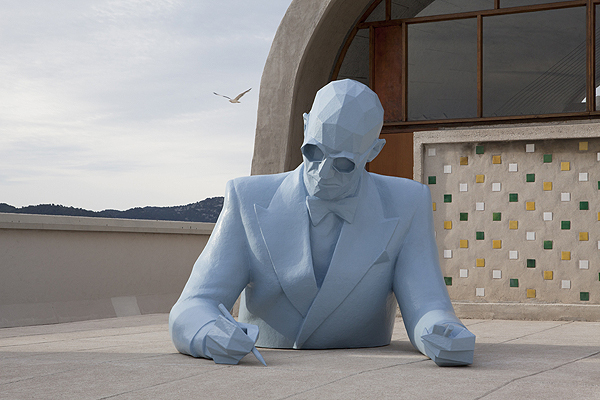 17 sites spanning 7 countries have set themselves apart as “human creative genius.” “Selected from Le Corbusier’s body of work, they are testament to the invention of a new architectural expression that make a break with the past,” stipulates UNESCO. 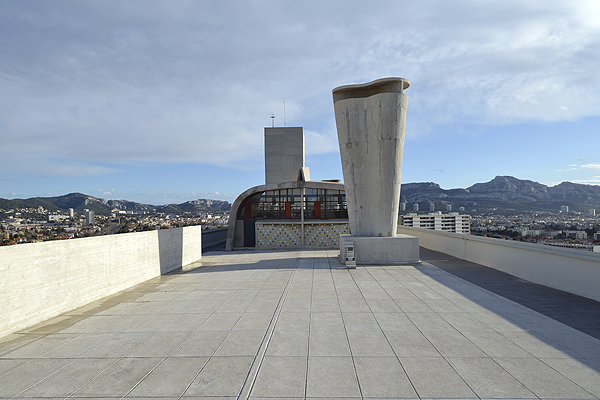 The Unité d’habitation (housing development), known as “La Cité Radieuse” (the first stone of which was laid in October 1947 and then inaugurated in October 1952) in Marseille, and therefore MAMO, this art centre created by Ora Ito on the roof of La Cité in the former gymnasium, is one of the 10 French sites to be classified. 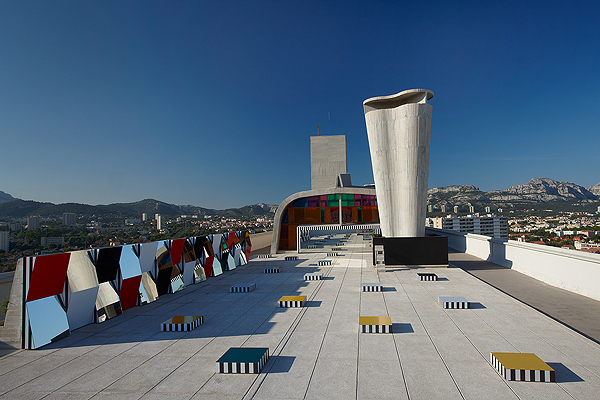 Indeed a momentous occasion for this French designer who has invited internationally renowned artists to interact with the building over the last four years: Daniel Buren, Xavier Veilhan, Dan Graham and now Felice Varini have all taken over the roof and the city’s former gymnasium to create a dialogue or a unity, in each case highlighting and magnifying Le Corbusier’s architecture. 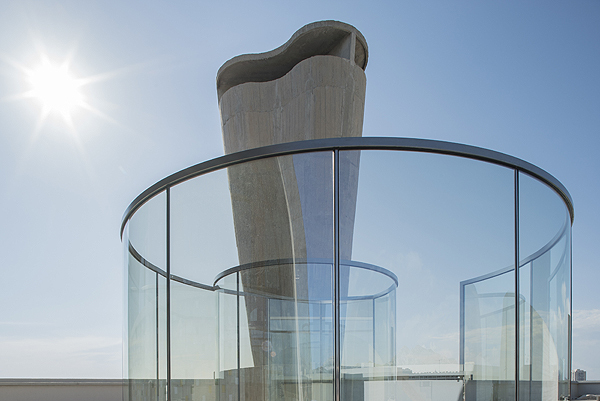 Marseille Modulor, Mamo, is “a tribute to the Modulor, an ideal unit of measurement, based on the golden ratio and human measurements, used by Le Corbusier in this building to replace the metric system,” Ora Ito explains.